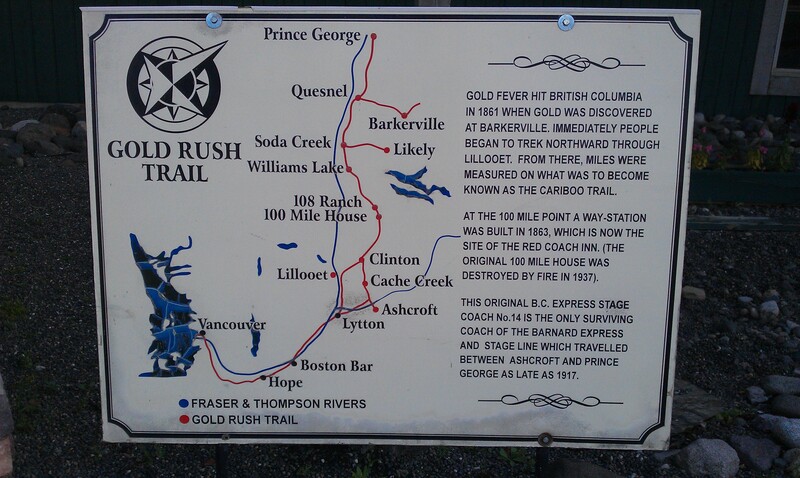 This post might also have been called ‘Rushing for Gold, part 2’ as we are still driving over the Cariboo Wagon Road, or Gold Rush Route. Now stopping at Prince George for a well deserved break, todays journey has been quite long, strenuous and quicker than anticipated. TomTom and Google both told us, today would be a full 5 hour drive, when we would drive without stops and in a straight line. This would mean missing out on some stuff on the way, and was simply not acceptable for us. So we told ourselves we would simply start off, and see when we’d arrive where and go from there. Soon, it turned out both TomTom and Google were grotesquely overestimating the durations, as we covered the first 3.5 hours in just 2. This got us going; to Barkerville. A 4 hour drive (160km return) to a gold rush town from the late 1800’s which pretty much was preserved in that state by continuous occupation up until the 1970’s. 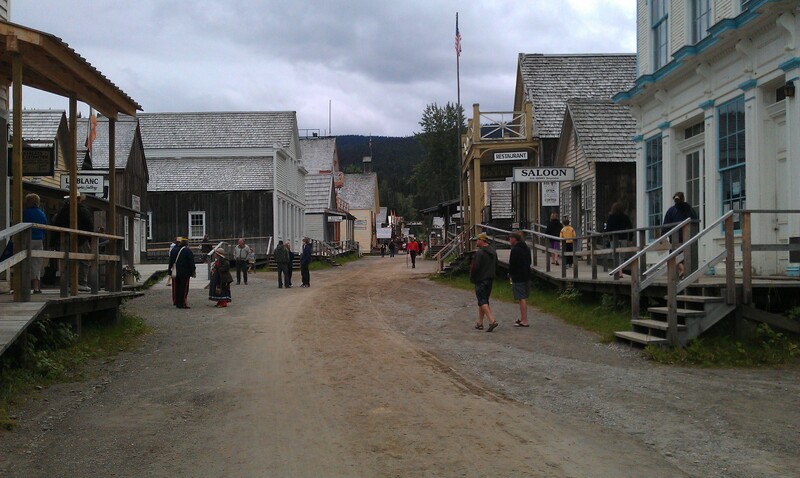 Barkerville is the town where the 1860 gold rush stated with a certain gentleman Barker struck gold. And a very rich strike that was. In todays money it would be around 70 million EUR! This sparked an influx to Williams Creek and soon all land there was claimed. Mining over there still takes place today and a very large deposit has been proven to be there by the current claim holders. 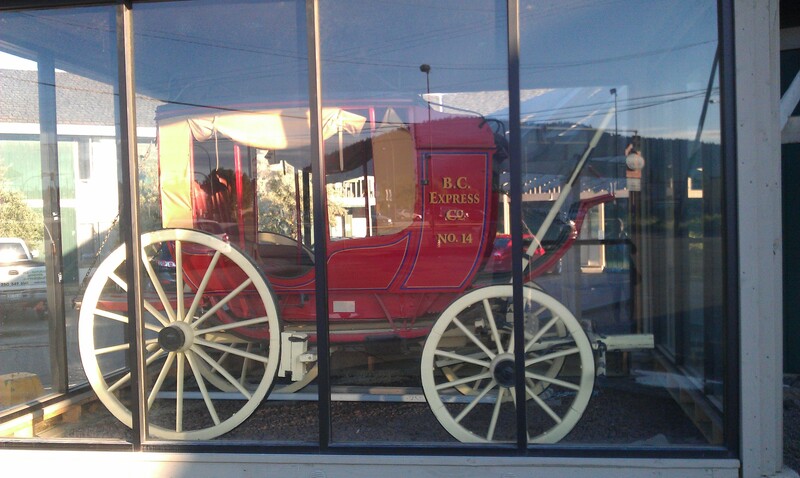 The town has been actively occupied from around 1860 to 1972, and acquired by the province of British Columbia in 1954. The last of the original inhabitants left in 1972 and now no full time residents remain. Still, a few houses are privately owned and used as housing for a period of time each year. That is, while the park is open to visitors! Weird. 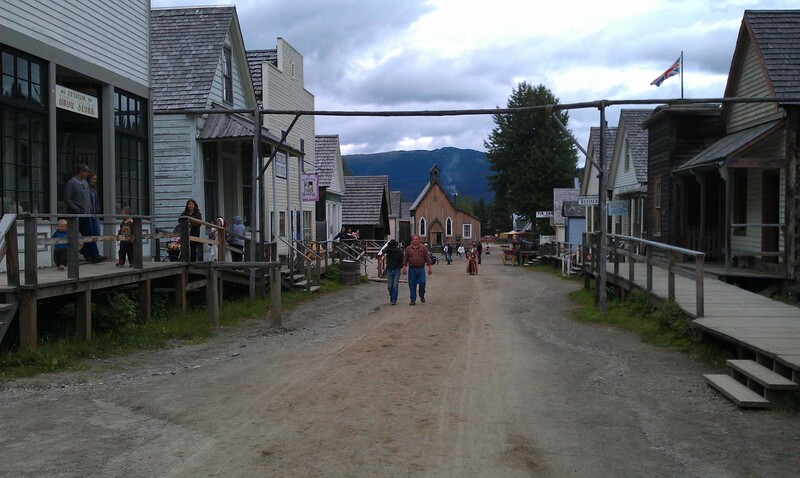 In Barkerville, all houses are on display and staffed by employees who are age correct dressed for 1870 and participating in a simulated regular working day back then. In the meantime they are teaching us visitors what the life back then was like. Very entertaining, and a joy to see how much the employees love their job. Very enthusiastically yelling everyone about ‘their’ Barkerville and it’s rich history. Tomorrow, another busy day while travelling to Smithers. PS: we spotted our very first Moose today! Yay! 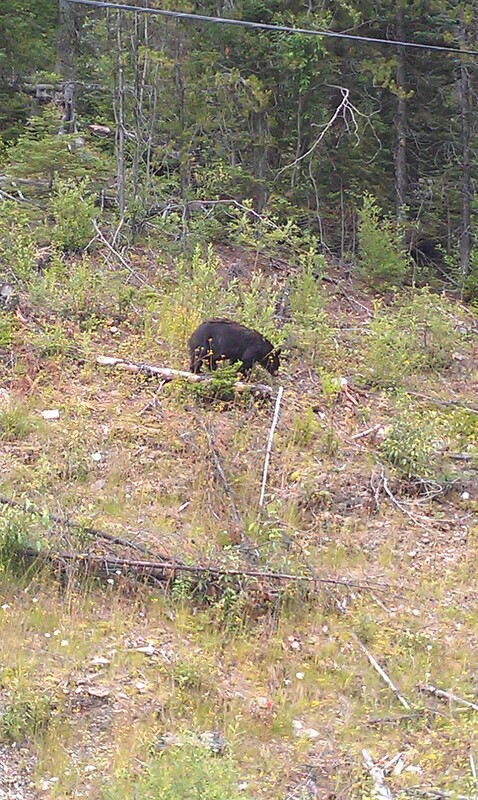 Also a very placid black bear who allowed us to take a very good look at him while he was fouraging. Lovely!